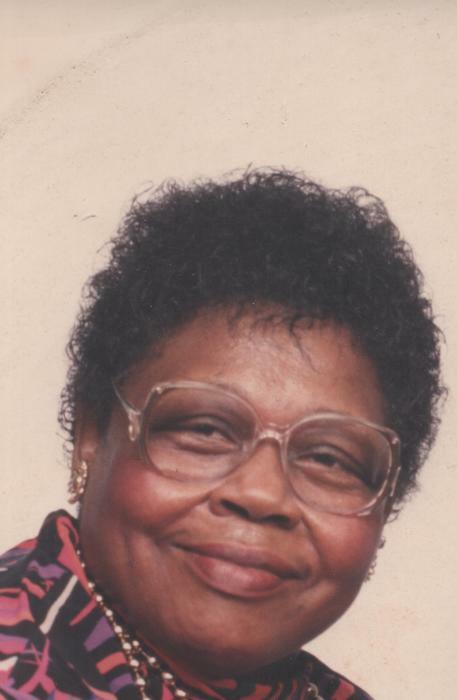 Mother Nellie M. Edwards departed this life peacefully on March 22, 2019 surrounded by her loving family. Mother Edwards accepted Christ at an early age. She was a member of Mt. Zion Missionary Baptist Church where she faithfully worked on the Nurses board, teacher for the Sunshine Band, Mother’s board and Missionary’s board where she was the Head of the Mission board. She loved sewing, cooking, and baking (she was known for her Caramel Cakes), and being with her family especially for the holidays. Mother Edwards was not only a mother to her children but she was a mother to her grandchildren and the community. Mother Nellie M. Edwards was born February 16, 1930 in Macon, Mississippi to the late Dudley Roby and Nellie Mae (Smith) Roby. On March 6, 1949 in Brookfield, Mississippi she married her childhood sweetheart, Thomas Edwards; he preceded her in death May of 2005. She leaves to cherish her memories, seven children, Delores (Ronnie) Henderson, Indianapolis, Indiana, Cherry (My Bae) Edwards-Kaba, Michigan City, Indiana, Rufus Edwards, Ft. Wayne, Indiana, Vivian (Tony) Andrew, Jeffery (Patricia) Edwards both of Indianapolis, Indiana, Jacqueline (Angel) Edwards, Michigan City, Indiana and Robin (Clardy) Holmes, Ft. Wayne, Indiana; 157 grandchildren, 57 great grandchildren, 36 great grandchildren and 1 great-great-great grandchild, and a host of nieces, nephews, cousins and church family. Mother Edwards was preceded in death by four children, Vanessa Edwards, Grady Edwards, Shelia Montgomery and Murray Edwards; two sisters and five brothers.